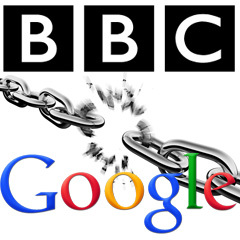 Home > Google News > Google SEO > Did Google Penalize BBC News For Unnatural Links? Did Google Penalize BBC News For Unnatural Links? The BBC News, the world's largest broadcast news organization, has just received a unnatural links notification from Google. I kid you not. A Google Webmaster Help thread has representative of the BBC web site asking Google for help in identifying the unnatural links, so they can make sure BBC.co.uk is clear of any Google penalty. I am a representative of the BBC site and on Saturday we got a 'notice of detected unnatural links'. Given the BBC site is so huge, with so many independently run sub sections, with literally thousands or agents and authors, can you give us a little clue as to where we might look for these 'unnatural links'. The truth is, he is not saying the BBC or one of the agents who run a section of the BBC didn't do anything wrong. He is saying that he needs help finding which section has the issue. Was the BBC penalized by Google? Hard for me to tell. They do rank for their name [bbc]. Have they lost any traffic to their site due to this link notification? Only the BBC would know for sure. But clearly Nick is looking to rectify the situation as soon as possible. It makes you wonder, even a site with such a huge backlink profile can have these issues. I am not sure if the issue is with incoming links or external links - but it seems to imply this is an incoming link issue. Oh, so I guess this doesn't hurt Matt's claim that big brands do get penalized and treated equally to other brands. Update: It turns out Google has said that they only took granular action against the BBC for this unnatural link issue. Specifically, only one article on the BBC web site.